Product prices and availability are accurate as of 2019-04-23 23:16:55 UTC and are subject to change. Any price and availability information displayed on http://www.amazon.com/ at the time of purchase will apply to the purchase of this product. Whether you are camping or travelling, Itscool Camping Utensils 6-in-1 Multifunctional Camping Tool is entirely constructed of stainless steel for long-lasting durability. 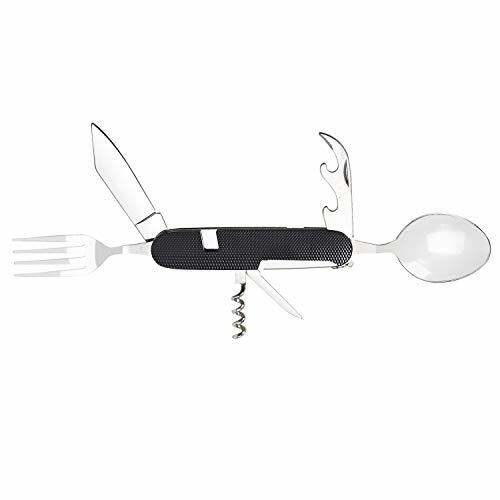 The tool can detach into two separate units so the eating utensils may be used simultaneously as needed, and easily snaps back together for compact storage and organization. 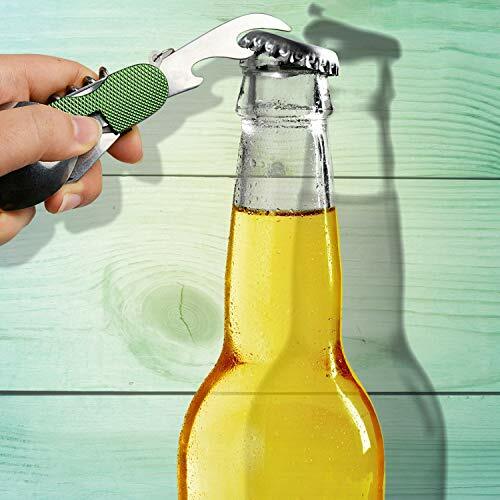 This item is great for camping, hiking, and other outdoor activities. Extend the spoon and fork to loosen both sides. Pull both sides apart from each other. Insert pegs into holes on the opposite sides, then close the spoon and fork to latch both sides together. 1. 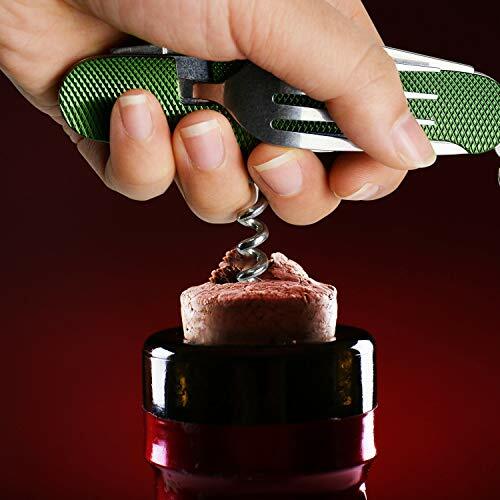 6 IN 1 CAMPING CUTLERY: Detachable knife, spoon, fork and bear opener, wine opener and small knife. The utensils could be detached into two parts; so that you can use the fork in one hand while using the spoon/knife in the other hand. 2. 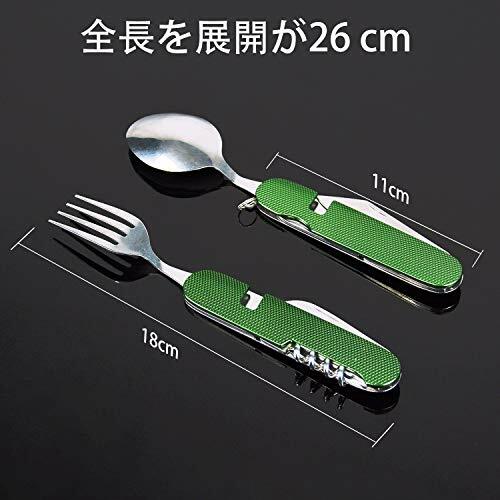 Good Quality: This camping flatware set is made of good quality stainless steel blade and unique aluminum handle. The polished coating on the utensils makes it non-stick, easy to clean and grip. 3. 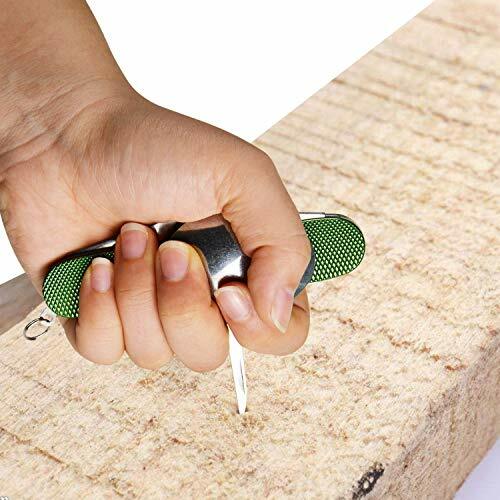 Easy to fold and detach: There is also a key ring attached to the handle,so you could put it on a key ring if you choose. 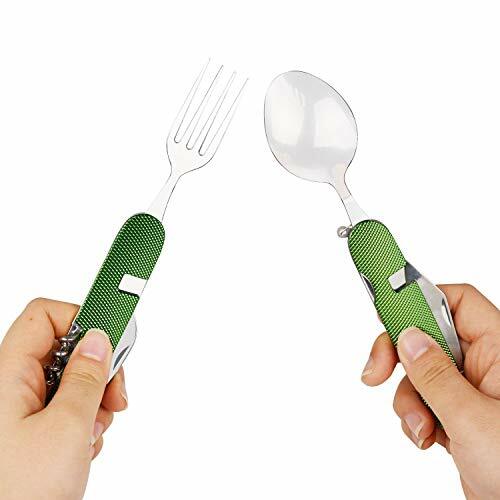 This eating utensil set is foldable, and it's not very heavy, so you can bring this pocket utensil when you go camping, backpacking, hiking, fishing or other outdoor activities. 4. FEATURES: Lightweight, sturdy, compact, rustproof, durable, easy to open/close/ separate /clean/carry, very convenient! (Hand wash only. Dry with a soft cloth after cleaning ) 5. IDEAL FOR: Barbecue lovers, students, scouts, travelers, campers, adventurer, office workers etc. One set is enough for many outdoor purposes.